Update: Now up to 70% off select styles. My favorite pair of shoes is a pair of Swedish Hasbeens. These ones in fact. And if you’ve been eyeing them but don’t want to shell out multiple hundreds of dollars, their Summer Sale is taking 50% off a ton of spring and summer styles. 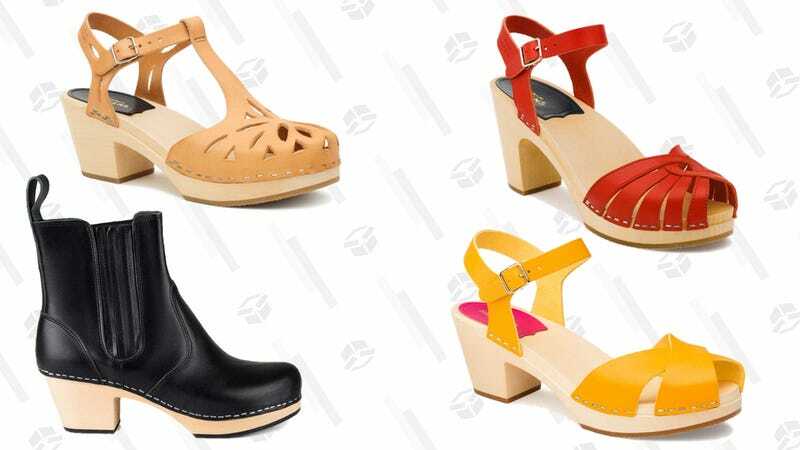 Clogs, sandals, and some boots are all included in the sale.